Video interview software, sometimes called video recruiting tools, allow recruiting managers and HR users to conduct video interviews with job candidates. Products in this category may also include other candidate evaluation features, like skills assessments, recorded videos, collaboration for candidate review, etc., and may integrate with applicant tracking systems. Benefits of Using Video Interview Software. Reduced travel costs, since in some cases video interviews can replace in-person interviews. Better sense of candidates’ personalities / culture fit assessment. Enables more dynamic, situational interview questions. Allows remote employees or employees who are unable to attend at time of interview to weigh in and get a sense of the candidate. There is a lot of software & cloud based apps for modern workforce, at WhoKnows we have handpicked 17 most popular, widely used & recognized vendors in the market. 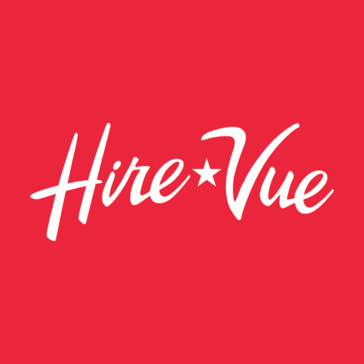 Discover The Best Talent, Faster, With HireVue Video Intelligence! HireVue delivers custom assessments by blending the power of artificial intelligence with the science of I-O Psychology – in a single video interview with Video Interviews, Assessments, and Coaching. 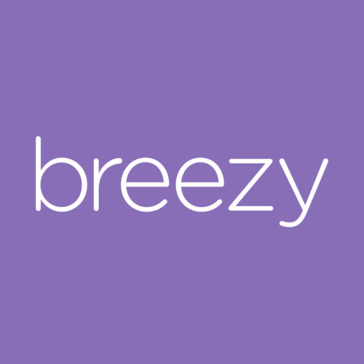 Breezy’s integrated video responses and live video interviews help you understand and engage with your candidates faster than ever. Wepow connects recruiters, job candidates and employers through easy-to-use mobile and video interviewing solutions. Hundreds of organizations including Adidas, Lenovo, and Box rely on Wepow’s video and communications platform to improve recruiter productivity, deliver engaging candidate experiences, and make the right hires. As a result, organizations regain time, reduce costs and recruit effectively. Montage is Video and Voice Interviewing for Enterprises. It’s a single solution to engage, interview and hire better candidates, faster. 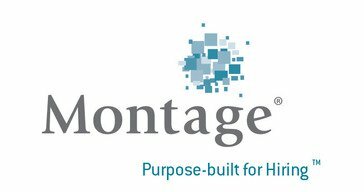 Montage’s video interviewing technology includes both live and on-demand video interviewing capabilities, providing a seamless addition to any organization’s hiring workflow. Leverage the power of video to get to know candidates in the hiring process. EasyHire.me is a cloud-based interview software that combines the power of on-demand and live video interviews, real-time skill assessment, interview analytics, and collaboration to speed up the candidate selection process. It enables efficient screening of more candidates to get a deeper insight into personalities in a standardized way. Panna is a data-driven AI video interview platform that finds the right talent in the shortest time. Panna, empowers HR by providing the right set of tools to shortlist the best in the stack of applicants. It provides artificially intelligent hiring, an ever-growing repository of dynamic questions, expert evaluation, recorded interviewing, video conferencing and voice and face recognition. ClearCompany Video Interviewing helps you easily incorporate video screening into your candidate application process. Allow candidates to record video interview responses at any point in the hiring process. With this video interview software, video interviews automatically attach to candidate profiles for easy viewing by anyone on your team. Video interview platform is seamlessly built into the ClearCompany Applicant Tracking System. No need to transfer files, worry about downloads, or manage multiple HR systems. Drag and drop technology lets you add video interviews to your process in a matter of clicks. 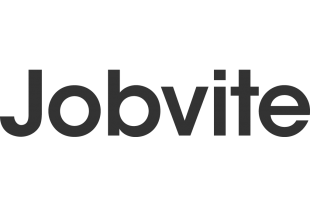 Jobvite Video is an on-demand video screening tool that accelerates, enhances, and builds consistency in the applicant screening process. The only video interviewing solution built directly into an ATS, Jobvite Video makes the experience seamless and easy for recruiters, hiring teams, and candidates alike. Video screening is the new way to find the best candidates for a role – without making a single call. A simple interface, fully integrated with HiringThing, takes the time and expense out of screening – and ensures consistent, unbiased results. Every candidate responds to the same questions – and they answer under the same conditions, as if they were on a screening call. No pausing, do-overs, or resets means you get their spontaneous response. Simplify with video interviewing. Think of all the time you spend playing phone tag trying to schedule those phone screens and initial interviews, let alone the time spent conducting them. Coordinating interviews is one of the most time-consuming elements of the hiring pocess. What if you could complete the interview process with one simple click of the mouse, and the applicant could complete the interview at a time that worked for them? With ApplicantPro’s video interviewing software, you can! Video interviewing provides you with the ability to make a selection call based on qualitative data that is not apparent on paper (resume). Many qualified candidates are overlooked when solely basing your judgement on their resume. With a video interview you get a more bird’s eye view of the candidate giving you the ability to make better hiring decisions. We like the flexibility of VidCruiter’s recorded interviews, and for companies looking to expand internationally, VidCruiter provides an easy way to interview candidates in any time zone. Interviews that catch a recruiter’s eye can be shared with others within the team, and each person evaluating can score and rank the candidate compared to others within the pipeline. Saba provides companies across the globe with a cloud-based learning and talent management application designed to drive employee engagement, elevate skills and improve business productivity. Streamline selection process with custom assessmentsa. 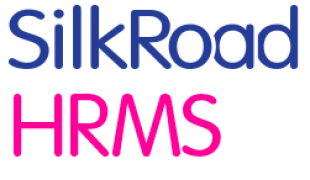 SilkRoad offers a web-based HRMS solution capable of handling entire employee lifecycle- from recruiting to onboarding and to learning and talent management. 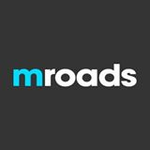 Engage your candidates with video job descriptions in SilkRoad Recruiting. Attract your ideal hire with a personalized video that explains what skills and qualities are needed to excel in the position and organizational culture. Embed videos from popular video sharing sites like YouTube and Vimeo in the job description. COMPAS all-in-one ATS/CRM was developed to provide hiring managers and recruiters full visibility into the recruitment, requisition, interview, selection, and employment processes. COMPAS offers users a SaaS solution to process requisitions, interview & hire candidates, approve time, and process invoices. With COMPAS’ built-in video conferencing and web meeting functionality you can conduct live webcam meetings directly from your COMPAS account, without having to download a third party VoIP service such as Skype. Joining a COMPAS web meeting is quick and easy. There is no dialing in, no downloading requirements, and there is no leaving COMPAS. With COMPAS Video Interviewing, everyone is there. 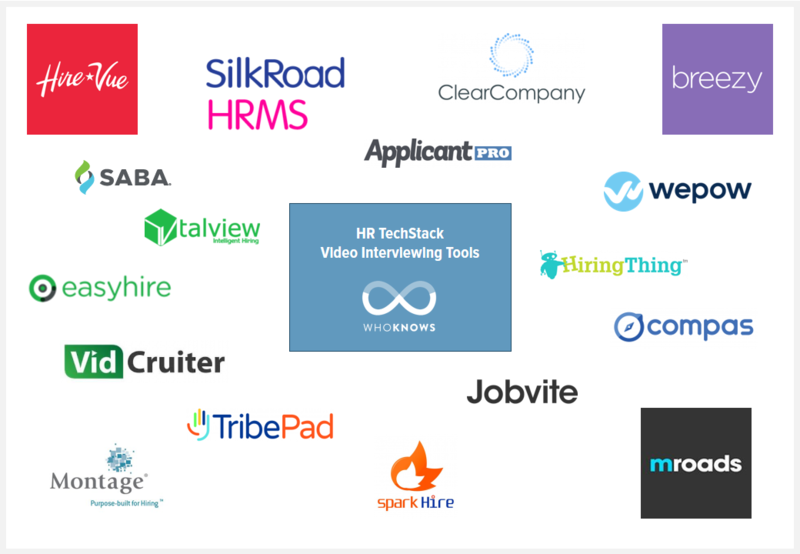 Spark Hire is a Web-based, best-of-breed video interviewing platform for HR departments and staffing professionals with options for one-way pre-recorded interviews or live interviews. Other features include branding customization, video interviewing ROI analytics, collaboration tools to comment, rate and share interviews with others on the hiring team and open-invite interviews that can be implemented in a variety of outlets, including job boards and social networks. Spark Hire also includes a mobile app for iOS and Android devices so that applicants can do their interviews on the go.